Then Walther goes on to explain that this notion couldn’t be more untrue. His words are a far cry from those you’ll hear on any given Sunday around the country in some of America’s largest congregations and on TV; however, the words of Walther reflect the cruciform nature of the Christian life. “Where Christ is, there is also the cross.” Let these words of warning be also words of encouragement, for where the cross is, there is also the forgiveness of sins and eternal life. Thanks be to God! The folks at Baker Books were kind enough to send me a couple editions of God’s Word Translation (GW) to read and review. This translation has been around for over fifteen years, but until getting picked up by Baker in 2008 hasn’t gotten much exposure or widespread publicity. Because of that, my intent is to look at this translation across several posts to try and give it a thorough review for those who may not know much about it or even have heard of it at all. My reviews will take a different approach than Joel Watts’, who is also in the process of writing several reviews of GW on his blog. If you’re interested in seeing how GW compares to other translations (in parallel), be sure and check out his fine series. Form-equivalent translations adjust the grammar and syntax of the source language text only enough to produce a reasonable recognizable and understandable English translation. Form-equivalent translation results in an English text that is a combination of English words, some English syntax, and some Hebrew, Aramaic, or Greek syntax. While function equivalence theory of translation has the proper focus [of accurately conveying meaning in the target language], in practice it has produced English translations that have lost some of the source texts’ meaning. In sum, the goal of CNE as advocated by GW, NLT, and HCSB is to maintain the delicate balance between a rigidly-literal rendering of the text that fails to communicate clearly in English and a highly-dynamic rendering that omits characteristics of the source language that are important to the meaning of a given passage. While these words continue to be used by theologians and even by many Christians, the meanings that speakers assign to them in everyday use do not match the meanings of the Hebrew or Greek words they are intended to translate. The words have become jargon–words with specialized meanings often poorly understood by nonspecialists. As Ed Stetzer pointed out on Twitter recently, “If you can learn to order at Starbucks, then you can learn theological language at church.” I completely agree, and while I would suggest that retaining words like covenant, justify, propitiation, righteous, and others in our theological teaching, preaching, and discussions is a good thing, it is difficult for me to suggest that retaining these terms in a bible translation is helpful considering how differently these terms are used in contemporary language (if they are used at all!). To determine how English speakers understand a few key theological terms, God’s Word to the Nations Bible Society undertook a survey of churchgoing lay people. Of five theological terms tested, no term was understood correctly by a majority of the respondents. That is, a majority of the respondents did not give a definition that matched the primary meaning of the underlying Greek word…The survey results for covenant (40 percent gave acceptable answers) were better than for the other words included in the bible society’s survey. For instance, only 10 percent of the respondents gave a correct meaning for the Greek word dikaioo when asked to define justify. In theory, I am totally at ease with the decision to use words more easily and correctly understood by contemporary English speakers. I will examine and evaluate some of the specific usages in GW in future reviews on the OT and NT, because I find some weaknesses in the words chosen in some places. So we’re off and running on our look at God’s Word Translation! Over the course of the next few reviews, I will begin to take a look at the details of this translation, including formatting, word choice, translation style, etc. Hopefully this is enough to whet your appetite to come back and read more about this relatively unknown translation. Do I understand Greek and Hebrew? Otherwise, how can I undertake, as every Minister does, not only to explain books which are written therein but to defend them against all opponents? Am I not at the mercy of everyone who does understand, or even pretends to understand, the original? For which way can I confute his pretense? Do I understand the language of the Old Testament? critically? at all? Can I read into English one of David’s Psalms, or even the first chapter of Genesis? Do I understand the language of the New Testament? Am I a critical master of it? Have I enough of it even to read into English the first chapter of St. Luke? If not, how many years did I spend at school? How many at the University? And what was I doing all those years? Ought not shame to cover my face? — John Wesley, “An Address to the Clergy,” in Works X:491. Last week, the folks at Cambridge bibles were kind enough to send me a review copy of the recently-released Pitt Minion NLT in beautiful black goatskin leather. I’ve never actually owned or even had the pleasure of looking through a Cambridge bible, but I’ve read of their almost legendary reputation for being all-around top of the line editions. After just a few days with one, I can say without reservation, if you are looking for a magnificent compact edition of the NLT you can treasure for years and pass on to your children, look no further…here it is! Oh yes, did I mention it was goatskin? Beautiful and soft to the touch. Not as supple and smooth as the Premium Calfskin ESV editions that Crossway has published, but certainly soft and pleasing to the hand. 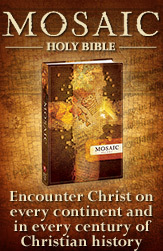 The cross-references and footnotes in this edition are the same as those found in the NLT Study Bible and Holy Bible: Mosaic NLT. Unfortunately, the Hebrew/Greek word study notes from those editions didn’t make it into the Pitt Minion. I find those a nice touch to the other editions, as they point out places where impo rtant original language words are used and provide nice, succinct definitions of words that pastors/teachers often emphasize. The Dictionary/Concordance is the usual 100+ page edition that has thankfully become the standard in recent NLT editions. It’s more lengthy than that found many other bible editions and is quite helpful if you don’t have a full concordance or electronic search at your fingertips. One of my favorite features in the Pitt Minion NLT is the maps. As I’ve confessed before, I’m a complete cartophile, and this edition doesn’t disappoint! The maps are the same Moody Bible Institute maps found in Crossway’s ESVs but with the added bonus of more than twice as many as Crossway includes. There are a total of 15 maps, including many that are extremely helpful for OT study, and an eight-page map index. Fantastic! In case you haven’t picked up on the general tenor of this review, I absolutely love Cambridge’s Pitt Minion NLT! If you’re ok with the small print, I can think of no better quality, compact edition of the NLT that you can enjoy for many years. The gospel itself was born of God’s vision of a changed people, challenging and transforming the prevailing values and practices of our world…What if each of us decided with renewed commitment to truly embrace the good news, the whole gospel, and demonstrate it through our lives–not even in big ways, but in small ones? From this starting point Stearns, who has traveled around the world encountering poverty, disease, malnutrition, neglect, and a host of other horrors at a degree few of us can imagine, challenges the Church universal, and especially wealth and resource-blessed American Evangelicals, to live out the social implication of the gospel in a completely Christ-centered way. In a way that resonates with my own disappointment with many conservative Christians, he bemoans the fact that we have largely left social ministry to theological liberals and demonstrates why this not need and should not be the case. He spends much of his book describing the sheer magnitude of social issues around the world–the very same ones addressed by Jesus in the Gospels–before showing how easily we could make a tremendous impact on the world in the name of Christ. Unlike many similar books championing social causes, Stearns is unapologetically Evangelical in his approach and places the gospel at the center at all times. Also, unlike many similar books, Stears’ writing caused me to open my eyes to the reality faced daily by countless millions around the world, truly reflect on the complacency that has worked its way into my own life, and challenge me to try to make a difference in my own neighborhood and across the globe. Any of us who have grown comfortable in our Christianity would benefit greatly from Richard Stearns’ brutally honest, powerful, and Christ-centered call to live out the faith we profess. His message needs to be heard. If you entered my Holy Bible: Mosaic giveaway contest you had a fantastic opportunity to win a copy of Mosaic and odds that you’ll never get in Vegas or in the lottery! So…fanfare aside, the winner of my giveaway is @martyrologist! Thanks for your thoughtful comment and mention/link on Twitter. To the others who entered, I wish I had copies to give to everyone, but there are still many contests in work and other opportunities to win. Check Mosaic’s blog for tour dates and locations!